Pins are saved to boards, keeping your ideas organized and easy to find. Follow other people or boards that are saving ideas you’re interested in, so you can do even more of what you love. Development of Pinterest began in December 2009, and the site launched as a closed beta in March 2010. The site proceeded to operate in an invitation-only open beta.Pinterest allows users to save images and categorize them on different boards. They can follow other users’ boards if they have similar tastes. The evolution of Pinterest is based on the shared interest of its users and relies on its members to produce the content. The most popular categories, as of March 2012, were home, arts and crafts, style/fashion, and food. Silbermann said he personally wrote to the site’s first 5,000 users offering his personal phone number and even meeting with some of its users. Silbermann and a few programmers operated the site out of a small apartment until the summer of 2011. Early in 2010, the company’s investors and co-founder Ben Silbermann tried to encourage a New York-based magazine publishing company to buy Pinterest but the publisher declined to meet with the founders. Nine months after the launch the website had 10,000 users. The launch of an iPhone app in early March 2011, brought in a more than expected number of downloads. The app would later be updated in March 2013. The Pinterest iPad app was launched August 2011. Pinterest Mobile, launched the following month, is a version of the website for non-iPhone users. On August 10, 2011, Time magazine listed Pinterest in its “50 Best Websites of 2011” article. In December 2011, the site became one of the top 10 largest social network services, according to Hitwise data, with 11 million total visits per week. The next month, it drove more referral traffic to retailers than LinkedIn, YouTube, and Google+.The same month, the company was named the best new startup of 2011 by TechCrunch. Noted entrepreneurs and investors include: Jack Abraham, Michael Birch, Scott Belsky, Brian Cohen, Shana Fisher, Ron Conway, FirstMark Capital, Kevin Hartz, Jeremy Stoppelman, Hank Vigil, and Fritz Lanman. Initially, there were several ways to register a new Pinterest account. Potential users could either receive an invitation from an already registered friend, or they could request an invitation directly from the Pinterest website that could take some time to receive. An account can also be created and accessed by linking Pinterest to a Facebook or Twitterprofile. When a user re-posts or re-pins an image to their own board, they have the option of notifying their Facebook and Twitter followers. This feature can be managed on the settings page. For January 2012, comScore reported the site had 11.7 million unique U.S. visitors, making it the fastest site ever to break through the 10 million unique visitor mark.comScore recorded a unique users moving average growth of 85% from mid-January to mid-February and a 17% growth from mid-February to mid-March. At the South By Southwest Interactive conference in March 2012, Silbermann announced revamped profile pages were being developed and would be implemented soon. On 23 March 2012, Pinterest unveiled updated terms of service that eliminated the policy that gave it the right to sell its users’ content. The terms would go into effect April 6. According to Experian Hitwise, the site became the third largest social network in the United States in March 2012, behind Facebook and Twitter. Co-founder Paul Sciarra left his position at Pinterest in April 2012 for a consulting job as entrepreneur in residence at Andreessen Horowitz. On 17 May 2012, Japanese electronic commerce company Rakuten announced it was leading a $100 million investment in Pinterest, alongside investors including Andreessen Horowitz, Bessemer Venture Partners, and FirstMark Capital, based on a valuation of $1.5 billion. On August 10, 2012, Pinterest altered their policy so that a request or an invitation was no longer required to join the site. 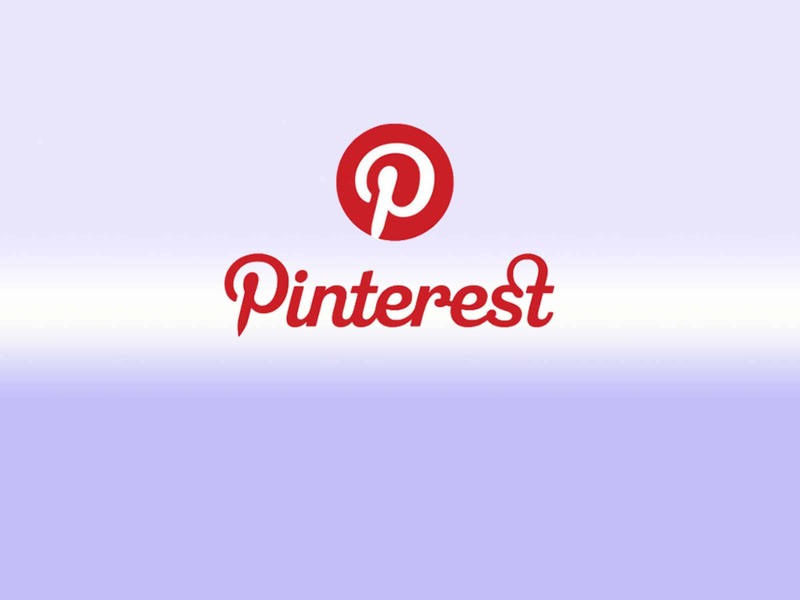 In addition, the Pinterest app for Android and iPad was also launched on August 14, 2012. On September 20, 2012 Pinterest announced the hiring of its new head of engineering, Jon Jenkins. Jenkins came from Amazon, where he spent eight years as an engineering lead and was also a director of developer tools, platform analysis and website platform. In October 2012, Pinterest announced a new feature that would allow users to report others for negative and offensive activity or block other users if they do not want to view their content. Pinterest said they want to keep their community “positive and respectful.” Also in October, Pinterest launched business accounts allowing businesses to either convert their existing personal accounts into business accounts, or start from scratch. Much of the service’s early user base consisted of infrequent contributors. The site’s user growth, which slowed in March 2012, could pick up as the site’s user base solidifies around dedicated users according to a comScore representative. In August 2012, Pinterest overtook competing micro-blogging site Tumblr for the first time in terms of unique monthly visitors, clocking in at just under 25 million. In February 2013, Reuters and ComScore stated that Pinterest had 48.7 million users globally. A study released in July 2013 by French social media agency Semiocast revealed the website had 70 million users worldwide. In 2014, Pinterest generated its first revenue, when it began charging advertisers to promote their wares to the site’s millions of hobbyists, vacation planners, and do-it-yourselfers. Ads on the site could generate as much as $500 million in 2016, estimates Michael Pachter, an analyst at Wedbush Securities. In October 2016, Pinterest announced 150 million monthly active users, 70 million in the U.S. and 80 million outside the U.S. Then in April 2017, they announced 175 million monthly active users, with 3x year over year growth in Germany and Brazil and 2x year over year growth in France and Japan. In June 2017, Pinterest raised $150 million from a group of existing investors. In September 2018, Pinterest announced that it had 250 million monthly active users, with most new growth coming from outside the United States. In March 2013, Pinterest acquired Livestar. Terms were not disclosed. In early October 2013, Pinterest acquired Hackermeter. The company’s co-founders, Lucas Baker and Frost Li, joined Pinterest as engineers. In late October 2013, Pinterest secured a $225 million round of equity funding that valued the website at $3.8 billion. In April 2015, Pinterest acquired the team from Hike Labs, which had been developing a mobile publishing application called Drafty. In June 2015, Pinterest unveiled “buyable pins”. Rich Pins – pins which have more information than a normal link – will get a new button that allows users to purchase things directly from partners that it’s working for. Users will see prices, be able to select specific types of a product (like the color), and then they can tap the button to buy the product. The item will arrive at the user’s door. In August 2016, Pinterest launched a video player that lets users and brands upload and store clips of any length straight to the site. On August 23, 2016, Pinterest announced that it would be acquiring the team behind Instapaper, which will continue operating as a separate app. The Instapaper team will both work on the core Pinterest experience and updating Instapaper. On March 8, 2017, Pinterest said it had acquired Jelly Industries, a small search-engine company founded by Biz Stone. Content can also be found outside Pinterest and similarly uploaded to a board via the “Pin It” button, which can be downloaded to the bookmark bar on a web browser, or be implemented by a webmaster directly on the website. Some websites include red and white “pin it” buttons on items, which allow Pinterest users to pin them directly. In 2015, Pinterest implemented a feature that allows users to search with images instead of words. In May 2017, Pinterest president Tim Kendall made the announcement for Instant Ideas, the new feature allows advertisers to reach consumers through their smartphone’s camera. Pinterest plans to eventually add them to results displayed when people use its Lens feature to scan a photo from their phone to find related pins as well as the Shop the Look feature that lets people tap products featured in a photo to reveal a list of links to similar products available for purchase. Registration is required to use. Like Facebook and Twitter, Pinterest now lets marketers access the data collected on its users. Technology providers including Salesforce.com, Hootsuite, Spredfast, Percolate, Piqora, Curalate, and Tailwind are presently[when?] the only companies granted access to the data. By granting access to users’ data, Pinterest lets marketers investigate how people respond to products. If a product has a high number of repins, this generally tells the producer of the product that it is well liked by many members of the Pinterest community. Now that Pinterest lets marketers access the data, companies can view user comments on the product to learn how people like or dislike it. A 2013 study on Pinterest practices found that “repinning” was the most popular action by users, followed by likes, and lastly, commenting. According to Salesforce.com, Pinterest has become a key part of corporate digital marketing strategies. Before 2013, Pinterest only accounted for about 2 percent of global social-mediated sales, but by May 2014 that was up to about 23 percent. People use social media sites like Pinterest to direct or guide their choices in products. A study from October 2016 found that 60% of Pinterest users are women. Many businesses use Pinterest Analytics to investigate whether the time spent on the social networking site is actually producing results or not. Through the access of Pinterest Analytics, companies receive insight to data via API, which makes it easier for the businesses using this method to closely engage with the consumer population on Pinterest. Pinterest Analytics is much like Google Analytics. It is a created service that generates comprehensive statistics on a specific website’s traffic, commonly used by marketers. Pins, pinners, repins, and repinners are some aspects of user data that Pinterest Analytics provides. It also collects data that depicts the percentage of change within a specific time, to determine if a product is more popular on a specific day during the week, or slowly becoming unpopular. This data helps marketing agencies alter their strategies to gain more popularity, often changing the visual content to appeal to the Pinterest community. The “Most Clicked” tab in Pinterest Analytics demonstrates products that are more likely to sell. According to a study by Converto, in April 2012, Pinterest drove more social media-originated e-commerce sales than Facebook or Twitter. Companies also can add their own ideas features to explore how consumers respond to a product, like the Pinterest Trends product, Piqora. Piquora is a visual analytics and marketing provider for specifically visual social networking sites including Tumblr, Instagram, and Pinterest. Marketers use Piqora’s Pinterest Trends to analyze a brand’s performance against competitors on Pinterest. Globally, the site is most popular with women. In 2012, a report found that 83% of the global users were women. By 2016 the proportion of women users was lower at 60%.Britain, however, is an exception. As of March 2012, 56% of the users were male with different age profiles, being about 10 years younger than in the U.S., where the predominant age range was typically 35–44. In terms of age distribution, the Pinterest demographic closely resembles the U.S. Internet population. Boards are collections of pins dedicated to a theme such as quotations, travel, or weddings. Pinterest uses a feature called Guided Search, which gives keyword suggestions when entering a search term, narrowing down results. The home feed is a collection of Pins from the users, boards, and topics followed, as well as a few Promoted Pins and Pins Pinterest has picked. On the main Pinterest page, a “pin feed” appears, displaying the chronological activity from the Pinterest boards that a user follows. In the recent months, Pinterest introduced visual search as part of their latest feature. This search feature allows users to take a photo of existing pins, zoom into existing parts of a photo or take new photos. Then, users could click into any of the assigned circles and multiple suggestions will pop up in the guided search below the photo. If the item is in Pinterest’s database, it will direct the user to the shop or pins that are similar. This feature incorporates the guided search feature as it gives keyword suggestions and narrowing down the results for the photo. Following users and boards fills the home feed with content. Users can follow and unfollow users as well as boards. Similar to Facebook, Instagram, and Twitter Pinterest contains verified accounts. A verified account will contain a checkmark next to their domain in the search results. The verified profile will also contain a full website URL and checkmark. Pinterest was first conceptualized in December 2009 by cofounders Ben Silbermann, Evan Sharp and Paul Sciarra. The first prototype was launched in March 2010 and made available to a small group of colleagues and family members. Since its inception, it has developed into a well-funded site financially supported by a group of successful entrepreneurs and investors including FirstMark Capital, Jack Abraham (Milo), Michael Birch (Bebo), Scott Belsky (Behance), Shana Fisher (Highline Venture Partners), Ron Conway (SV Angel), Kevin Hartz (EventBrite), Jeremy Stoppelman (Yelp), Hank Vigil, Fritz Lanman, and Brian S. Cohen. In early 2011, the company secured a US$10 million Series A financing led by Jeremy Levine and Sarah Tavel of Bessemer Venture Partners. In October 2011, after an introduction from Kevin Hartz and Jeremy Stoppelman, the company secured US$27 million in funding from Andreessen Horowitz, which valued the company at US$200 million. Pinterest played a role in the run-up to the 2012 US presidential election. The wives of both candidates created accounts. Ann Romney debuted her Pinterest account in March and First Lady Michelle Obama announced hers in June. In May 2012, Pinterest was valued at $1.5 billion. In February 2013, it was valued at $2.5 billion. In October 2013, it was valued at $3.8 billion. In May 2014, it was valued at $5 billion. In June 2015, it was valued at $11 billion. In May 2015, Fortune Magazine listed Pinterest in the 8th position on its Unicorn List, which ranks startups that have a valuation exceeding $1 billion. As of 2017 the company is valued at $12 billion. In June 2015, Pinterest added the “Buy” button to its mobile app. Pinterest has a notification system that copyright holders can use to request that content be removed from the site. The Digital Millennium Copyright Act (DMCA) safe harborstatus of Pinterest has been questioned given that it actively promotes its users to copy to Pinterest, for their perpetual use, any image on the Internet. Pinterest users cannot claim safe harbor status and as such are exposed to possible legal action for pinning copyright material. Because Pinterest allows users to transfer information, intellectual property rights come to play. A “nopin” HTML meta tag was released by Pinterest on 20 February 2012 to allow websites to opt out of their images being pinned. On 24 February 2012, Flickr implemented the code to allow users to opt out. Pinterest released a statement in March 2012 saying it believed it was protected by the DMCA’s safe harbor provisions. In early May 2012, the site added automatic attribution of authors on images originating from Flickr, Behance, YouTube and Vimeo. Automatic attribution was also added for Pins from sites mirroring content on Flickr. At the same time, Flickr added a Pin shortcut to its share option menu to users who have not opted out of sharing their images. Pinterest has a five star privacy rating from the Electronic Frontier Foundation. Several days later, Pinterest unveiled updated terms of service that, once implemented in April, ended the site’s previous claims of ownership of posted images. “Selling content was never our intention”, said the company in a blog post. In February 2012, photographer and lawyer Kirsten Kowalski wrote a blog post explaining how her interpretation of copyright law led her to delete all her infringing pins. The post contributed to scrutiny over Pinterest’s legal status. The post went viral and reached founder Ben Silbermann who contacted Kowalski to discuss making the website more compliant with the law. Content creators on sites such as iStock have expressed concern over their work being reused on Pinterest without permission. Getty Images said that it was aware of Pinterest’s copyright issues and was in discussion with them. A meta tag was released by Pinterest in February 2012 to allow websites to opt out of their images being pinned. Pinterest won the Best New Startup of 2011 at the TechCrunch Crunchies Awards. At the 2012 Webby Awards, Pinterest won Best Social Media App and People’s Voice Award for best functioning visual design. Many third-party developers have created web applications, browser extensions, and even podcasts devoted to Pinterest. These items range from analytics, to enlarging the images on Pinterest’s website. Pinterest is written in a framework built over Flask. Pinterest engineering blogs  have more details on how Pinterest builds its product. Social engineering of Pinterest users by scammers to propagate surveys promising free products was noted by the computer security firm Symantec in March 2012. Scam images, often branded with a well-known company name like Starbucks, offer incentives such as gift cards for completing a survey. Once the link in the description is clicked, users are taken to an external site and asked to re-pin the scam image. Victims are phished for their personal information and the promised free product is never delivered. In March 2017, Chinese authorities blocks this website, the website is still blocked after the Two Sessions in 2017. No response has given, but some media guess that the blocks was related to the Two sessions. Huaban, Duitang and 30 more websites has many similarities to Pinterest. However, it’s not blocked in Hong Kong. Internet service providers in India had blocked Pinterest following a Madras High Court order in July 2016 to block a list of around 225 “rogue websites indulging in online piracy and infringement of copyright”. The block was temporary.